Millwall moved up to 12th in League One after an impressive third away win of the season at Port Vale. The Londoners had four great chances to take the lead inside the first quarter of an hour, but had to wait until the second half to break the deadlock. Mark Beevers opened the scoring as he headed in a corner from eight yards. Vale's Enoch Andoh had chances to score either side of Beevers' goal before Lee Gregory hit a stoppage time penalty after he was fouled by Jak Alnwick. Match ends, Port Vale 0, Millwall 2. Second Half ends, Port Vale 0, Millwall 2. Attempt missed. Ed Upson (Millwall) right footed shot from outside the box is close, but misses to the left. Goal! Port Vale 0, Millwall 2. Lee Gregory (Millwall) converts the penalty with a right footed shot to the bottom left corner. Jak Alnwick (Port Vale) is shown the yellow card for a bad foul. Penalty Millwall. Lee Gregory draws a foul in the penalty area. Penalty conceded by Jak Alnwick (Port Vale) after a foul in the penalty area. Attempt blocked. Anthony Grant (Port Vale) left footed shot from the centre of the box is blocked. Attempt missed. Jak McCourt (Port Vale) right footed shot from outside the box misses to the left. Substitution, Port Vale. Jak McCourt replaces Sam Foley. Substitution, Millwall. John Marquis replaces Aiden O'Brien. Attempt missed. Uche Ikpeazu (Port Vale) right footed shot from the centre of the box is too high. Corner, Port Vale. Conceded by Jordan Archer. Attempt saved. Sam Foley (Port Vale) right footed shot from the right side of the box is saved in the bottom right corner. Ed Upson (Millwall) wins a free kick on the right wing. Attempt blocked. Ebo Andoh (Port Vale) right footed shot from the centre of the box is blocked. Attempt missed. Anthony Grant (Port Vale) right footed shot from outside the box is close, but misses the top left corner. Attempt missed. Ed Upson (Millwall) right footed shot from the centre of the box misses to the right. Attempt missed. Ebo Andoh (Port Vale) right footed shot from outside the box misses to the right. Substitution, Millwall. 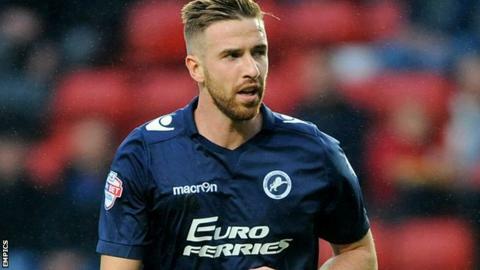 Lee Gregory replaces Steve Morison. Attempt missed. Richard Duffy (Port Vale) header from the centre of the box misses to the right. Corner, Port Vale. Conceded by Mark Beevers.